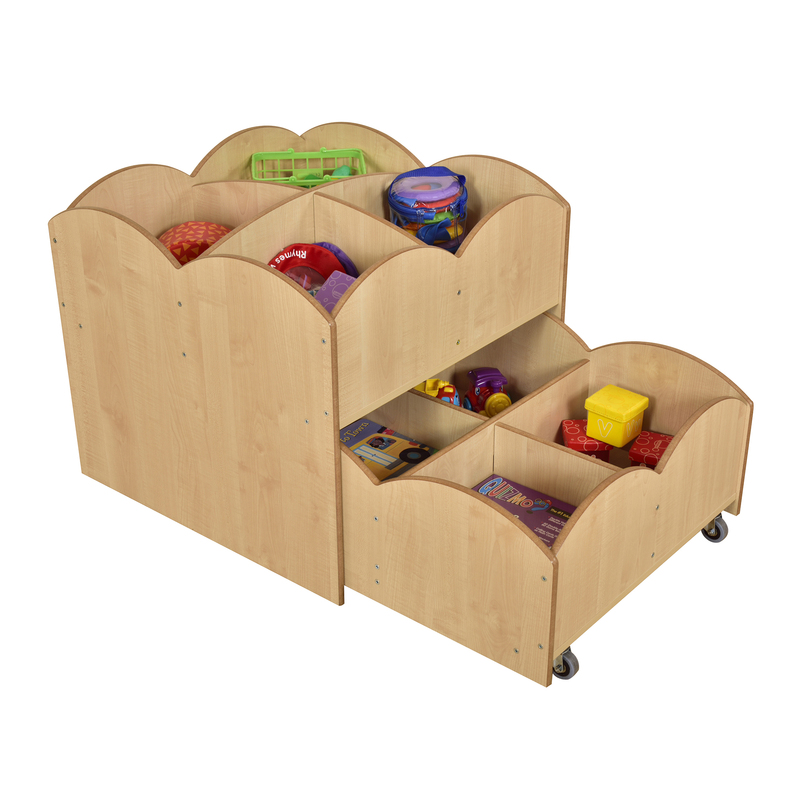 Our double kinder box is a neat design to maximise book storage in the minimum of space. The bottom kinder box is supplied on lockable castors and compartments measure H240 x W315 x D320mm. Top compartment dimensions are the same but are open topped so no restriction on book height. Edges are rounded and polished.